Exactly at midnight it happened. 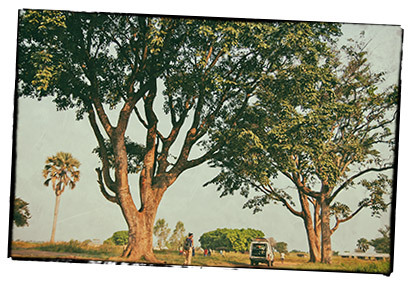 Denish is taken by soldiers of the LRA, the rebel group in Northern Uganda led by Joseph Kony. Now becoming a child soldier. Denish is 13 years old. Exactly at midnight it happened. Denish is taken by soldiers of the LRA, the rebel group in Northern Uganda led by Joseph Kony. Denish is 13 years old. It has been Africa's longest running armed conflict. Northern Uganda has been the scene of a brutal war since the mid 90's. The Lord's Resistance Army (LRA), led by Joseph Kony, fought against the Ugandan army for control over the northern part of the country. 10,000 people have been killed, nearly two million people fled. 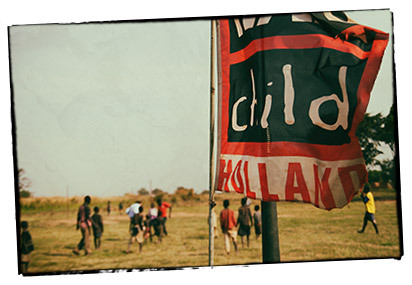 It is estimated* that hundreds of thousands of child soldiers were forced to join the fight. Denish was one of them. Being chased by the Uganda army, raiding villages, burning houses, kidnapping, Denish is forced to participate in day-to-day LRA business. Trying to escape is a recipe for the death penalty. Denish is not the only one suffering from the LRA. "I wish I had said I did not know my sister." In the confusion of an army attack, Denish takes the chance. After two days without food and water he reaches a village. Trying to find out if he’s out far enough. In the confusion of an army attack, Denish takes the chance. After two days without food and water he reaches a village. Trying to find out if he's out far enough. Spending years in the bush leave deep scars. Despite the things he experienced, Denish finds a way to deal with his past. He finds a place in a project by Dutch NGO War Child. One person in particular gains Denish’ trust. Auntie Grace is a social worker who takes care of the boy who had so many childhood nightmares. One person in particular gains Denish' trust. Auntie Grace is a social worker who takes care of the boy who had so many childhood nightmares. 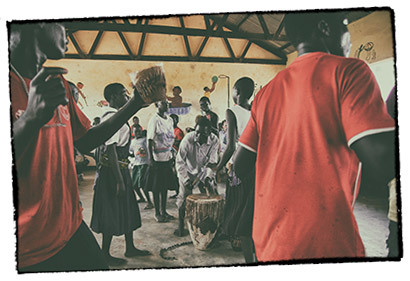 War Child helped to improve the psychosocial wellbeing of children and youth affected by the conflict in Northern Uganda. War Child offered support to children in IDP-camps and villages. 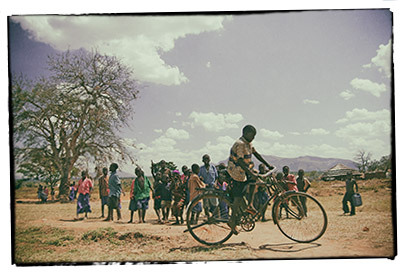 Children who are internally displaced, night commuters and many former child soldiers. They were abducted by the Lord’s Resistance Army, led by Joseph Kony. In order to learn the skills to make them more resilient, children participate in a series of creative workshops. Participants are children who go to school but have behavioural problems as a result of their living conditions (including former child soldiers, orphans, and abused and neglected children). Photography: © Michiel Bles, 2007, all rights reserved. These workshops help children cope with their emotions, with other people and with conflict. Mutual respect, understanding and friendship are encouraged. Denish’ uncle finds out he has escaped. He hesitantly goes back to the community he grew up in. Not knowing whether he will be accepted. Denish's uncle finds out he has escaped. He hesitantly goes back to the community he grew up in. Not knowing whether he will be accepted. 12 years from the moment Denish was abducted, he has his life back on track. "I want to be someone good". The commander-in-chief of the Lord’s Resistance Army (LRA) is wanted by the International Criminal Court since 2005. But warlord Joseph Kony is still at large. Denish saw him once. What’s his view on the mysterious rebel leader? The commander-in-chief of the Lord's Resistance Army (LRA) is wanted by the International Criminal Court since 2005. But warlord Joseph Kony is still at large. Denish saw him once. What's his view on the mysterious rebel leader? This multimedia production has been made by Michiel Bles, freelance multimedia maker in close cooperation with War Child Holland. 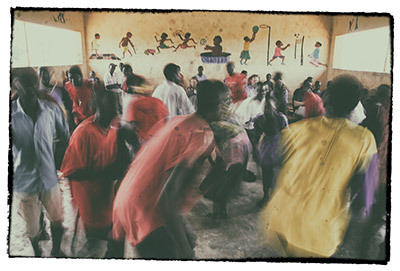 This Dutch NGO provides psychosocial support to children affected by armed conflict. 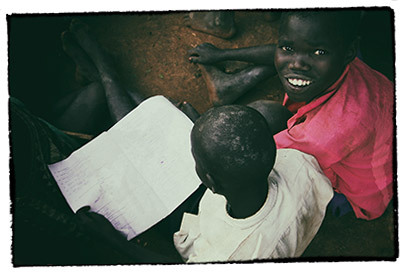 Denish has been a child soldier in the civil war in Northern Uganda. He was forced to join the Lord’s Resistance Army (LRA) in their fight for control over the Northern part of the African country. All footage and images are copyright protected. The music used is part of the YouTube audio library and Freemusicarchive.org, composed by the following artists: Chris Zabriskie, Huma-Huma, Julie Maxwell and Kevin MacLeod.